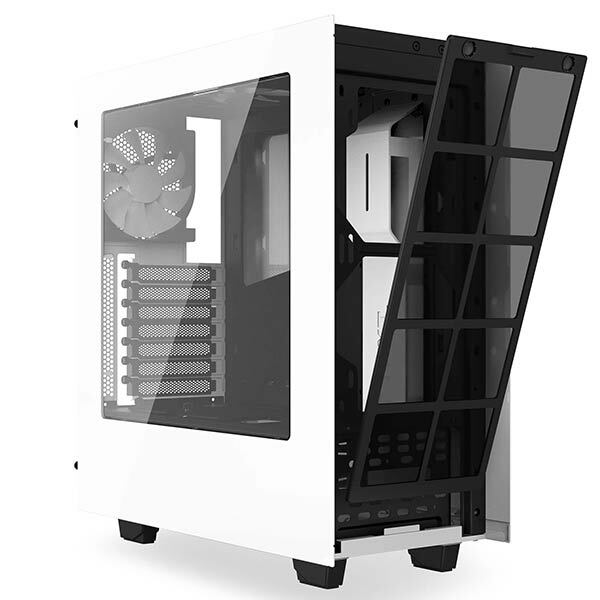 NZXT today launched a new chassis called the Source 340. 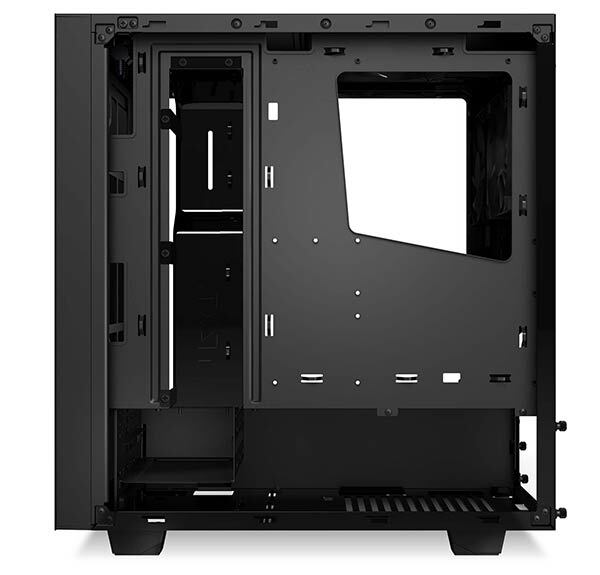 This is a mid-tower chassis with a durable 90 per cent steel construction. NZXT says that this new product "brings our most detailed engineering down to an unbeatable price point." The NZXT Source 340 has an RRP of €69.99 ($69.99 in the US) and will be available in either black or white. This chassis follows the growing trend of completely doing away with any ODD bay option. Thanks to this decision, and the relocation of the HDD mounting area, NZXT says that the case insides are particularly open and accessible "making this one of the easiest cases to build in ever". Also thanks to over 20 zip-tie locations, grommet-less cable management and plenty of space beneath the motherboard tray you can easily implement plenty of tidy, airflow-friendly cable routing options. 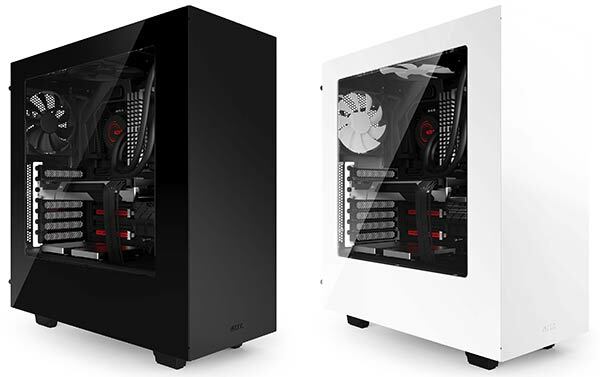 Beyond the claimed ease of building and chassis compactness, "two inches below competing mid towers," NZXT wants to highlight that the Source 340 offers a compelling balance between affordability and quality. This new chassis provides "everything you need, and then some," we are told. 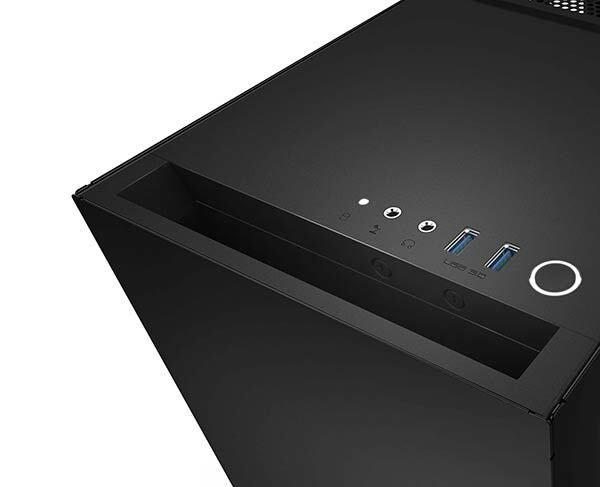 The 90 per cent steel construction and "detailed engineering," are complemented by all the basics you should expect from a modern chassis like front USB 3.0 and HD Audio ports. When comparing value claims you must look at the European/ US price, it is listed at €69.99/$69.99. If you wish to fit high performance components in the Source 340 you might be happy with the thoughtful design, aiding airflow, as mentioned above. There is a PSU shroud integrated into the design. NZXT has also made the S340 Kraken liquid cooler ready. For monitoring your cooling performance it is compatible with NZXT's GRID+ fan controller accessory. As you can see above, users can fit graphics cards up to 364mm long inside this chassis (or 334mm if a cooling radiator is fitted). The maximum CPU cooler height is just over 160mm. The NZXT Source 340 is currently available for pre-order and expected to ship within the next fortnight. Sales of external optical drives must be rising! Also with M.2 Slots I see less need myself for storage. Nice neat little case there!